The End is Where We Start From. On Tsunamis, Nuclear Explosions and other Fairy Tales. In 1983 the Human Interference Task Force was convened to determine whether reasonable means exist (or could be developed) to reduce the likelihood of imagined future humans unintentionally intruding on radioactive waste isolation systems. Suggestions ranged from starting something like a religious cult around the waste to restrict and control access – to genetically engineered cats, which would glow in radioactive sites. Making up fairy tales and children’s songs around the glowing cats would further ingrain the idea of staying clear of the animals and thus, the radioactive waste sites. In fact, fairytales are very much in line with how environmentalist theorists, and climate change deniers alike, are trying to mold human thought on the issue. Myths and mysteries are created around the issues. The exhibition The End is Where We Start From. 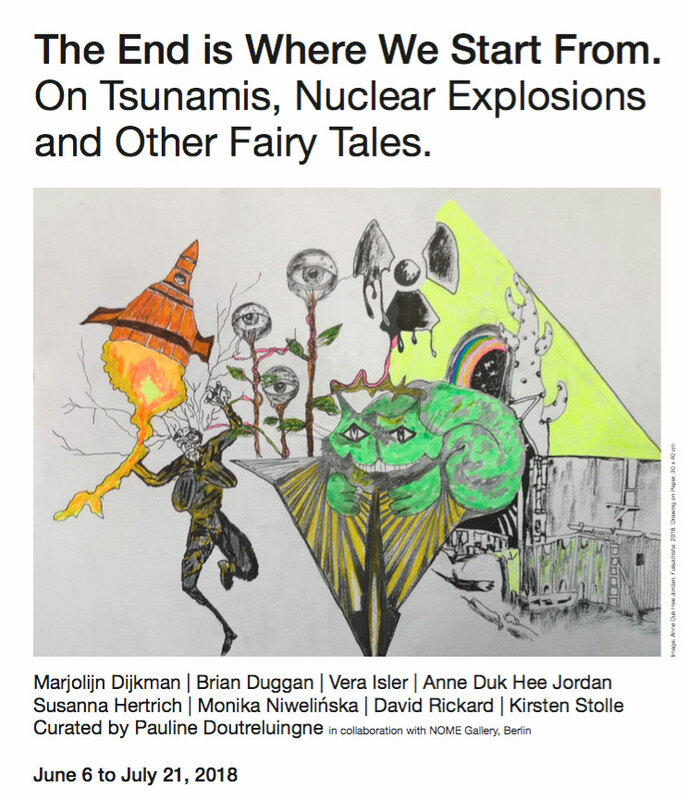 On Tsunamis, Nuclear Explosions and other Fairy Tales brings together works of eight international visual artists whose work navigates on the intersection of art and long-term scientific research. While examining the relationship between nature, time and human intervention, and translating this into strong visual work, these artists generate new readings of our surroundings and possible perceived futures. The exhibition includes the first public presentation of “Sensorium of Animals” as installation.